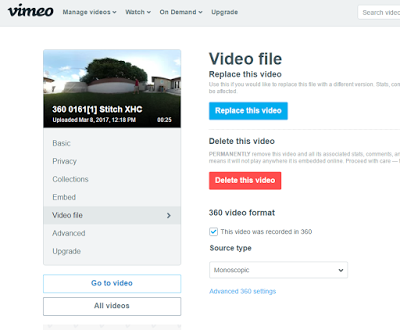 Vimeo adds support for 360 videos in 2D and in 3D! Vimeo has just launched support for 360 videos, both in 2D and in 3D! Vimeo prides itself on having videos with higher image quality compared to YouTube and other rivals. Now Vimeo has added support for 360 videos, making it possible to show 360 videos with high image quality in up to 4k resolution, with the option for offline viewing. To use the feature you just have to check a checkbox during the upload. 1. During upload, click on Edit Settings. 2. On the left margin, choose the “Video File” tab. 3. Under 360 video format, check the checkbox for a 360 video recording. There’s also a dropdown box where you can select monoscopic (2D) or stereoscopic (3D). 4. Below the dropdown box, you can also select Advanced Settings where you can specify the field of view, the pitch, and the yaw (the heading). Videos uploaded to Vimeo can be monetized. 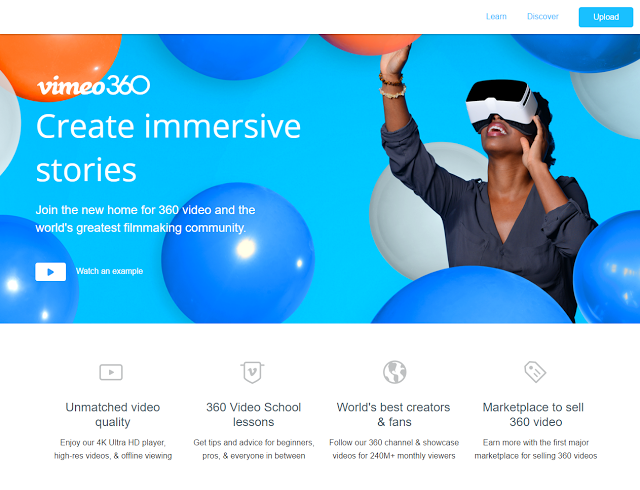 Vimeo will also be curating and highlighting 360 videos to be featured on their page. In addition to adding support for 360 videos, Vimeo has also posted a series of lessons for creating 360 videos. One issue with using Vimeo is that free accounts are limited to 500mb of uploads, a limit that would be rapidly used with a 360 video. Here is the official announcement. Thank you very much to Jim Jensen, moderator of Google+ Photo Sphere community (which is full of knowledgeable folks like Jim) for bringing this to my attention!